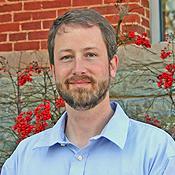 Dr. Scott has a Ph.D. in Counselor Education from North Carolina State University. He is a licensed professional counselor in South Carolina. He has served as President of the south Carolina Counseling Association and also Program Coordinator. Dr. Scott has worked in the field of clinical mental health counseling for over 20 years. Scott, D. A., Robinson, T. L. (2001). White male identity development: The Key model. Journal of Counseling and Development. Scott, D. A., Lorenc, L. (2007). A multi-tiered evaluation of adolescent therapeutic group homes. Child and Youth Care Forum. Sullivan, T. N., Scott, D. A., Nocks, E. C. (2011). Effects of target person expression on ethnic prejudice toward Middle Easterners and Hispanics. Journal of Multicultural Counseling and Development. Livingston, W. G., Scott, D. A., Havice, P. A., Cawthon, T. W. (2012). Male student veterans in our residence hall: Supporting a camouflaged population. The Journal of College and University Student Housing. Scott, D. A. (2009). An evaluation of adolescent therapeutic group homes and their role in dropout prevention.